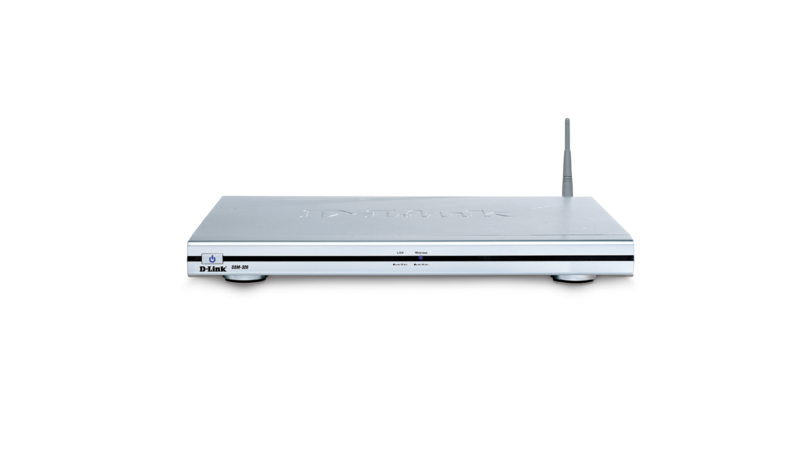 The D-Link Wireless Media Player - DSM-320 - streams digital media on your network to the TV. The DSM-320 also works as a Wireless Media Adapter that can plays as a MP3, WMA, WMV, xvid, MPEG 1/2/4, Quicktime, and most image formats. The D-Link MediaLounge™ DSM-320 Wireless Media Player streams digital music, photos, slideshows, and videos stored on a network-enabled PC to your home entertainment center. The DSM-320 seamlessly bridges the gap between your favorite digital media content and home entertainment center through a wireless 802.11g or wired 10/100 Ethernet network. The DSM-320 can also access media stored on a Network Attached Storage (NAS) device2. 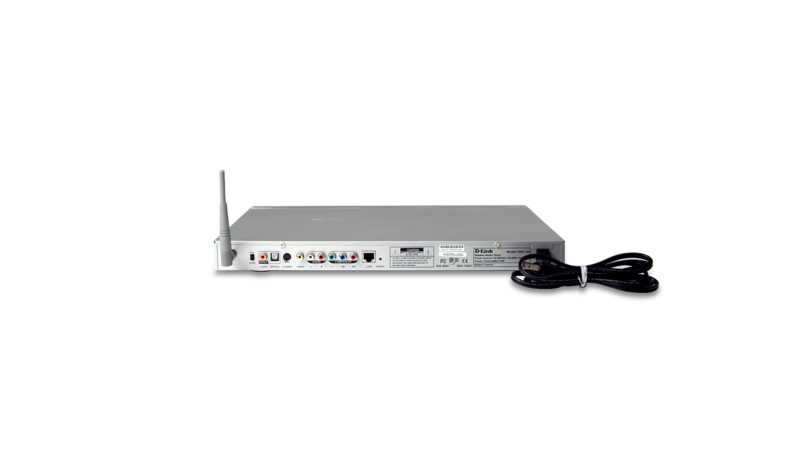 No matter where your PC is located in the house, the DSM-320 allows you to enjoy the media content on your networked PC in the comfort of your living room without the hassle of running a network cable3. A wired network is recommended for optimal video streaming. The DSM-320 supports and streams popular music, photo, and video formats stored on a PC. Listen to your favorite songs by streaming audio files in MP3, WMA, and WAV formats4. Enjoy videos in MPEG1/2/45, AVI, or Xvid format. Show off pictures of the kids or your latest vacation trip by creating a slideshow with photos saved in JPEG, JPEG2000, TIFF, GIF, BMP, or PNG format. You can also watch a slideshow while simultaneously playing your favorite songs to create the ultimate custom digital experience! By partnering with premium online service providers, D-Link enables you to have access to a vast array of online radio stations and PC music downloads through the DSM-3201. And with support for Windows® Media Connect6 (WMC), files protected by Windows® Media Digital Rights Management (WMDRM) can be streamed from a PC to your living room. Setting up the DSM-320 is simple, and the On-screen setup wizard guides you through the entire step-by-step process. 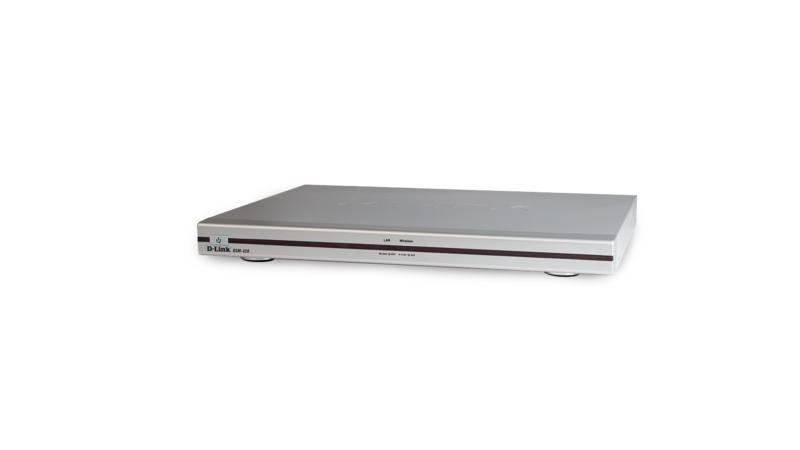 The DSM-320 adheres to the Universal Plug-&-Play AV (UPnP™ AV) specification for easy installation onto a network. Audio and video jacks including Composite, S-Video, Component Video, Optical, and digital Coax are available on the back panel of the DSM-320 that allows direct connection to a TV, receiver, and other home entertainment devices. Using the included remote control, Sit ‘n Click™ through the user-friendly TV interface to access media content stored on a PC. Instantly find what you are looking for using the color-coded shortcut buttons to access music, photos, videos, and online content. Experience digital media like never before with the D-Link MediaLounge Wireless Media Player (DSM-320). The DSM-320 provides instant access to digital music, videos, and photos – all from the comfort of your living room. The D-Link DSM-320 Wireless Media Player wirelessly streams music, photos, slideshows, and videos from a PC to your home entertainment center. You can easily access content from your PC or Network Attached Storage2 using a wireless 802.11g or 10/100 Ethernet connection. You can even listen to Internet radio stations or enjoy downloaded music all from the comfort of your living room. One-Touch Preset Keys for Instant Access to Favorite Music. Supports Windows® Media Connect6 (WMC) and Windows® Media Digital Rights Management (WMDRM-10) for Streaming Copy-Protected WMA-based Content. Setup Wizard for Easy Configuration. Works with Microsoft XP Service Pack 2 installed. Requires Microsoft Windows Media Connect software (available via Windows Update) to stream and share your media files. Connect Windows Media Connect to DSM-320 as media server. Enable UPnP from "User Settings…" under the "Options" menu. Leave Rhapsody running on the PC.